Gone are the days where basic regulatory reporting was enough. Performance management in healthcare is constantly in a state of flux, and in order to meet the true needs of healthcare analytics, executives must be able to leverage data in far more complex ways than before. Business intelligence allows us to understand both the individual and interrelated impacts of risk, quality, cost, and financial performance. This means if an organization’s technology is hard-coding key performance indicators (KPIs) in reports, it faces a long and difficult road ahead. Data analytics tools must step up to meet the evolving and diverse requirements of the changing industry. Rules must be flexible, modularly built, and able to be cloned for varied organizational needs such as population health, regulatory management, and contractual management. 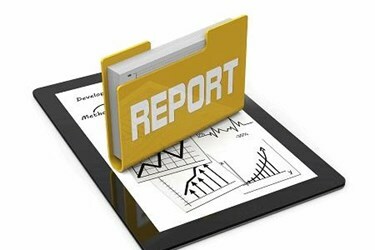 As such, the previous approach of hard-coding rules into reports is not sustainable. Organizations should consider a flexible design approach that adapts with the evolving industry. Meeting regulatory reporting guidelines is top of mind for today’s healthcare professionals. As the number and complexity of clinical quality measures continues to grow, organizations cannot avoid the fact measures must be maintained year over year. Additionally, the increasing pressure to implement measures even faster can further create challenges for many aspects of an organization. The shift in reporting is routed in the industry’s transition from a fee-for-service (FFS) to a pay-for-performance (P4P) to a value-based care approach. It is producing a new range of people, process, and technology needs which leads many to wonder who, where, and how will the new performance scores under Medicare’s Quality Payment Program (QPP) be managed. The focus on operationalizing quality involves a number of management techniques across payments, and as such, will require much greater flexibility than basic regulatory reporting requirements. In truth, regulatory rules often do not make operational sense. However strides are being made with approaches such as MACRA’s MIPS program to address the various facets of operationalization. This could cover quality outcomes, measures, process improvements, technology, and cost impacts. For operations to be managed in all the various ways, analytics tools must be able to quickly present data from each perspective. The renewed focus on care management activities, wellness management, patient engagement, etc., supports the shift and the demand to view healthcare data in new ways. Take for example the different requirements across measure sets for breast cancer screening for women. Physician Quality Reporting System (PQRS) only measures women older than 50 years while Healthcare Effectiveness Data and Information Set (HEDIS) starts at age 52. PQRS requires G-code reporting for this patient population while HEDIS requires Current Procedural Terminology (CPT) and International Statistical Classification of Diseases and Related Health Problems (ICD) codes. In addition, PQRS includes women who had a mammogram to screen for breast cancer within the past 15 months, while HEDIS requires 24 months. With inconsistencies across measures sets, defining a consistent set of parameters falls on the organization. Organizations need one working definition to target these specialized populations for population health programs, while also meeting the multiple regulatory definitions required by the measure sets. Now, consider contractual reporting. Contract terms are often modified versions of the HEDIS measure set, however contractual needs differ. Let’s take the example of how results are managed. The department managing a cohort’s actual contractual needs is typically different from the one tracking regulatory requirements. This department must monitor pay-for-performance needs, bundled payment requirements and shared savings thresholds. In addition, they track measures against a sub-population and should reach minimum contract compliance for their reimbursement schedule. All this equates to a need to view information around measures, cohorts, patients, payers and providers in a dynamic way – and fast. Thus a centralized way to manage clinical data sets, value sets, conditions and rules becomes even more critical. And with the need for speed, it must be done without a critical dependency on clinical and IT experts. A tool to implement new KPIs and analytics frameworks, such as the rules management module (RMM), removes this dependency, and provides the flexibility and agility organizations need. It enables a standard library of configurable building blocks and allows reuse of rules. No matter how reporting is approached, organizations will need a broad approach to cut across all measures. Organizations must think differently about measuring regulatory, operational and contractual quality, and execute on all three levels. Now is the time to begin the conversation and determine the action, process, people and tools that will support the inevitable shift.